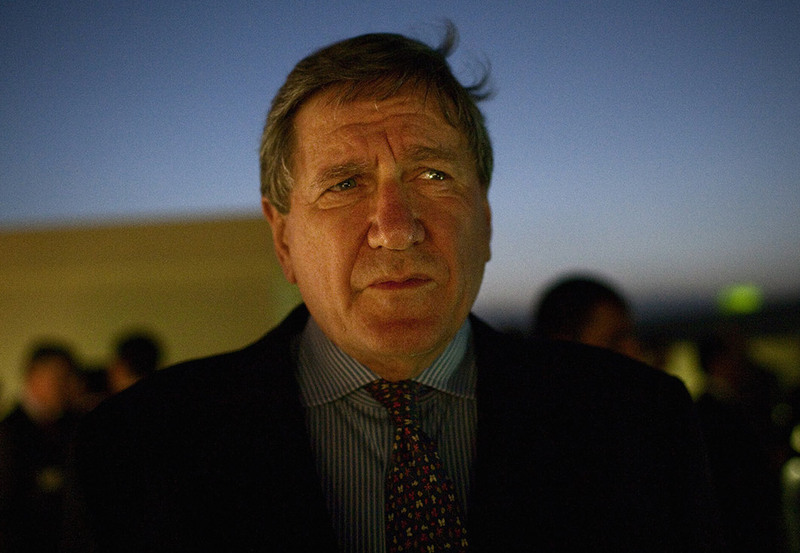 The late diplomat Richard Holbrooke who ended the Bosnian war in 1995 and worked on Afghanistan for President Obama before collapsing in Hillary Clinton’s office. It’s about understanding my father’s life and legacy after he died, far too early. It’s about a man who committed himself to a public career where impact mattered. That that came with a real cost to him and his family. I felt that was a story worth telling. I grew up in Washington DC and was immersed in its political culture growing up. I moved to New York City after I graduated from college and went to work in television news for the next fifteen years before shifting over to documentaries after 9/11. My last film, “Hard As Nails” (aired on HBO in 2007), is about a controversial Catholic preacher. Since 2008, I have programmed the documentary festival Telluride Mountainfilm and two years ago, while in the middle of making “The Diplomat,” my family and I moved from Brooklyn to the small, magical town of Telluride. We had to work hard to get the right role for me as a director who was also the narrator and a character in the film but the biggest challenge was to find how much of the film should be about him as a diplomat and him as a father. I hope we found the right balance with most of the film focusing on his impact on the world while there is also a small but resonant part of the film that looks at his absence as a parent. I hope that people who watch “The Diplomat” get caught up in the film’s sweep of history and are also moved and inspired by my father’s story. I really want the audience, particularly young people, to take away a sense of how they can be engaged, involved and have their own tangible impact on the world, and maybe even consider diplomacy as a cool and worthy profession. I also think this film give us a unique insight into the way foreign policy is made in America, particularly the Obama Administration. Our whole team watched “My Architect” of course and at times we joked that this film was called “My Diplomat.” We also watched other worthwhile films in this genre, including Rory Kennedy’s terrific Ethel, Sarah Polley’s “The Stories We Tell” and “Disturbing the Universe” by the Sarah and Emily Kunstler about their father, the irascible attorney William Kunstler. Another film that was released while we were making the film was Richard Linklater’s “Boyhood,” which inspired me in so many ways, including its use of time elapsing to tell the story of its characters. I’d like to go back to only having one full time job for a while so after “The Diplomat” gets out into the world, I think I will focus more on my day job, programming Telluride Mountainfilm. That being said, there are some documentary projects out there that are interesting to me. I also am being drawn to some narrative films, including a fictionalized version of the Dayton peace accords, which my father brokered and ended the Bosnian War. There are lots of movies about making war but very few about making peace. We used Canon C300 and 5Ds in most of our interviews but it was particularly tricky to film in a country such as Afghanistan because we did not have a permit and didn’t want to bring in huge cases of gear so worked with what we could find there. Working in Vietnam was tricky as well, especially the time when the Vietnamese secret police stopped our shoot not because of permits or the interview subject but because my bike socks offended them. We self-funded for the first two years (which my wife really loved) and were able to accumulate enough material for a trailer. That got us a significant grant that took us through filming in Bosnia and Afghanistan and then we had enough footage and high level interviews to get HBO on board, which was great because their imprint helped us secure our last important interviews with people such as Hillary Clinton and Bob Woodward. Other support came in as well after HBO came on board because funders knew that with their platform, people would be seeing and talking about the film in the way that HBO makes happen like no one else. I was a political science major in college fully expecting to put that degree to use somehow in Washington DC but I started taking a lot of English courses my junior and senior year and realized I liked storytelling a lot so tried to pursue that through television news. I never actually took a single film course in college, which is weird to think of now, given that I make films and actually curate a film festival.